When they were counting for the concert, they didn’t know that they were counting for their death. Many people had been waiting for this day for a long time. No one expected that it would end like that. On 22nd of May 2017, Ariana Grande was performing a concert from her Dangerous Women Tour in Manchester Arena. When people were leaving the show, it was an explosion outside the arena. People who were inside started to panic. The explosion killed at least 22 people and more than hundred people were injured. After that people started to look for their friends and families on social media. Some of them were found, but not all. Explosion killed 2 Polish people. They were parents, who were waiting for their daughters after the concert. Their older daughter started to look for them using Facebook, but unluckily they died in explosion. This experience showed that social media have power. The star was really broken after it happened. It was some rumors that she would cancel her tour. It is also said that Ariana will pay for victims funerals, but no one said if it’s true. Also a homeless man, who was sleeping close to arena, become a hero, because he was helping people, who were injured. 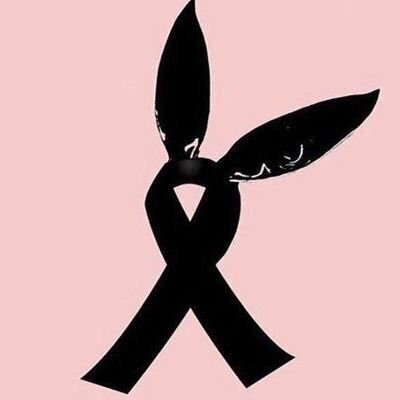 Black ribbon with pair of bunny ears which pays tribute to fans killed in Manchester attack.